Bone china Wedgewood coffee pot designed by Susie Cooper - Green Keystone. 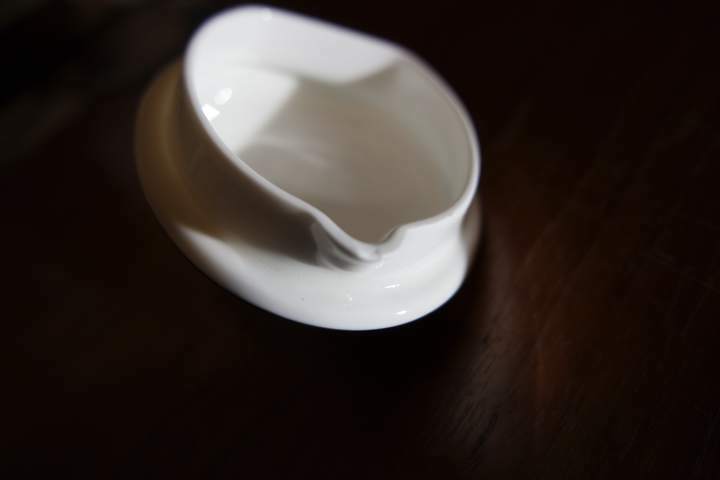 In beautiful condition apart from a wee chip on the lip that holds the lid in place (see photo); otherwise, an elegant addition to any dining table. 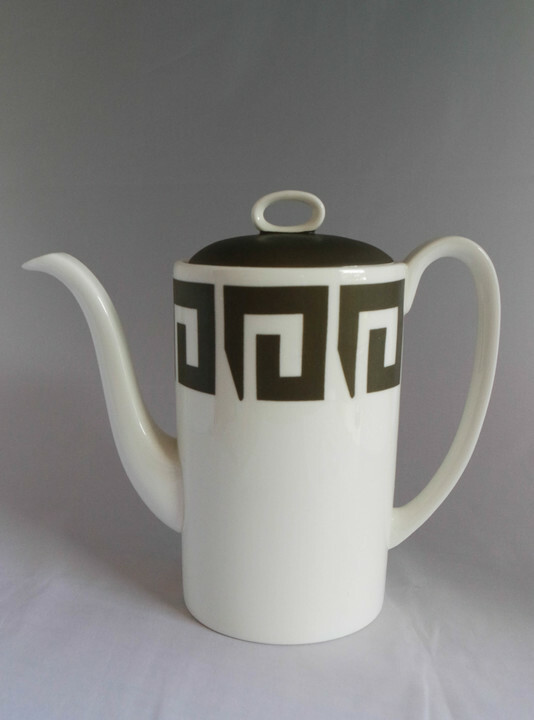 The Keystone pattern was introduced in the late 1960s and features a Greek key inspired design applied in covercoat, with large blocks of the same colour aerographed on to accompanying pieces, as with the lid of this coffee pot.